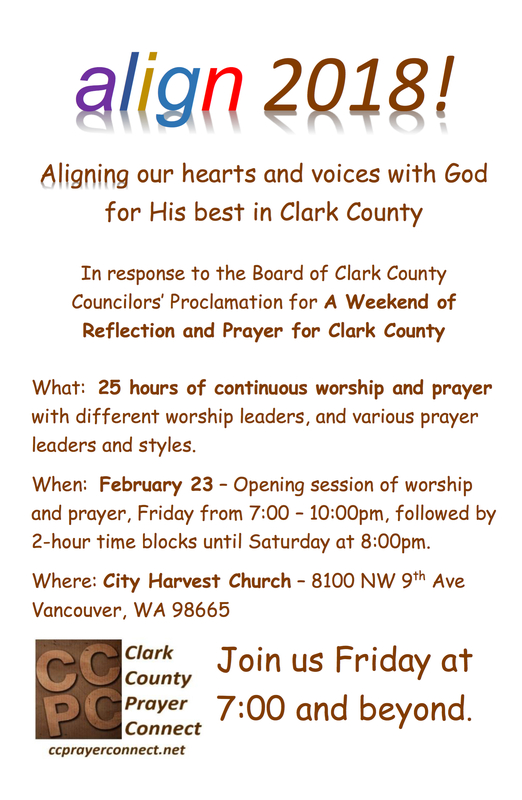 For the 7th consecutive year, the Board of Clark County Councilors have proclaimed a Weekend of Reflection & Prayer for Clark County! We invite you to participate in one of three ways. 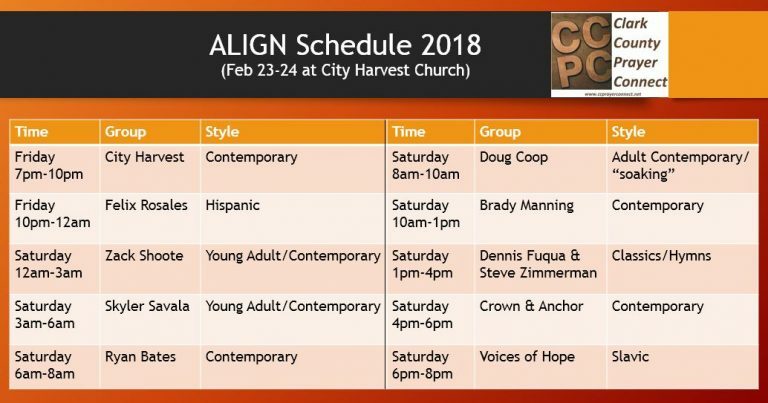 Join us February 23rd at 7pm for a service of worship and prayer at City Harvest Church (8100 Nw 9th Ave, Vancouver) & download the flyer to invite others. Following this service, we will have continuous worship and prayer right up till Saturday evening at 8pm. Review the schedule below and JOIN US! Brought to you by and in collaboration with . . .